(February 3, 2014) – Nashville, Tenn. – Four-time GRAMMY Award winner Steve Wariner will be hitting the road once again in April, promoting his recently released album, It Ain’t All Bad. For an artist who has achieved 14 No. 1 hits and nearly three dozen Top Ten hits, creating a concert set-list can be quite the task. This year, Wariner is asking his fans to help choose the songs that he will perform on tour. With more than 50 hit singles to his credit, Wariner has a large selection of songs for his fans to choose from. In addition, he has written or co-written several hits for other artists, including “Longneck Bottle” for Garth Brooks, “Nothin’ But the Taillights” for Clint Black, “One Small Miracle” for Bryan White, and “Where the Blacktop Ends” for Keith Urban (among others), so fans may choose to vote for those songs as well. Find the most current Steve Wariner tour dates from our partners at Country Music On Tour, your trusted country concert ticket source! Country Music News Blog participates in advertising programs that help fund the operation of this site. For more information please visit our privacy statement. 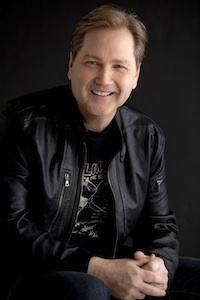 This entry was posted in News, Steve Wariner by Country Music News. Bookmark the permalink.